Caldereta is definitely one of every Filipino's favorite dishes. However, it is also one of the most tedious dishes to prepare because of the number of ingredients and the complexity of the process. However, with the help of Del Monte Quick ‘n Easy Caldereta Sauce and Del Monte Kitchenomics, cooking this classic recipe is now easy! Even a beginner can do it! 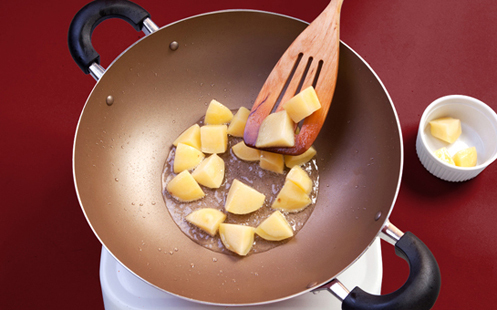 Fry potatoes in 2 tablespoons oil. Set aside. 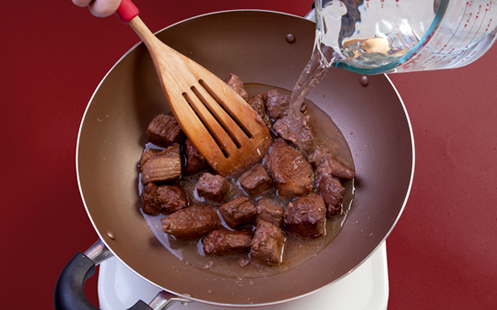 In the same pan, add 1 tablespoon oil then stir-fry liver spread and beef until both sides of meat are brown. Add 2 cups water. Cover and simmer for 1 hour or until tender. Retain only 1 cup broth (or add water to make 1 cup broth). 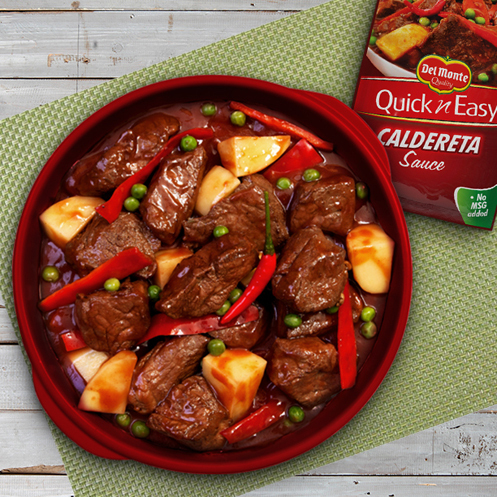 Add DEL MONTE Quick 'n Easy Caldereta Sauce, siling labuyo and cheese. Simmer for 5 minutes then add bell pepper and green peas. Simmer for another 3 minutes. Stir in fried potatoes. And voila! 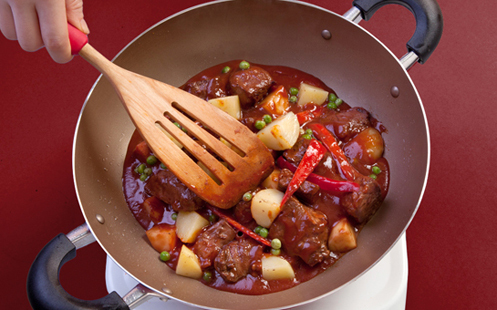 Your classic caldereta dish has been cooked. Don't break a sweat! 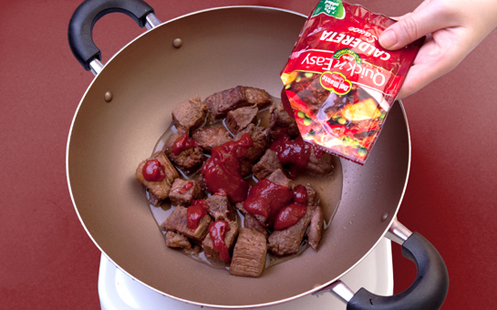 With Del Monte Quick ‘n Easy, you can easily achieve complex dishes like it was cooked by an expert!